NOTWITHSTANDING the heartbreaking experience of losing in four finals appearances with Alaska, Chris Banchero said his heart remains with the Aces. The sophomore guard recently inked a new three-year deal with the franchise that selected him fifth overall in the rookie draft two years ago. Banchero though didn’t reveal terms of the deal. It’s the longest contract Banchero will have with the Aces after settling for a one-year deal in each of his first two seasons with the team. He said that shows how much he loves the Aces. “I’m just extremely happy with my situation at Alaska. 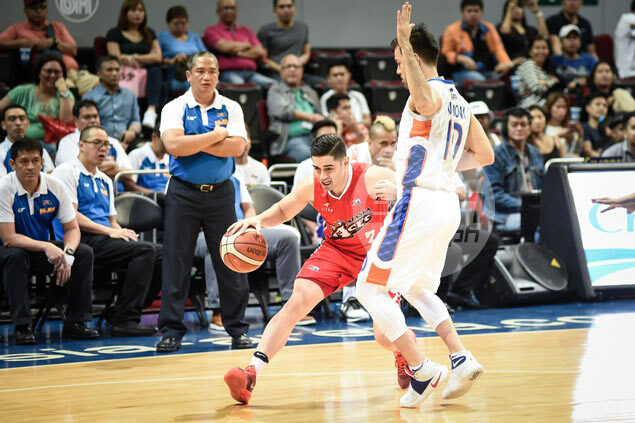 I love where I am at and the people I play with and the coaching staff,” said Banchero shortly after the Aces booked a playoff berth in the PBA Governors Cup by beating NLEX on Friday at the Mall of Asia Arena. There was no hitch whatsoever during the negotiations between the two parties, according to the 27-year-old Fil-Italian guard. Banchero, who finished with just three points and two assists in the win over the Road Warriors, is looking to win at least his first championship in the pro league during that three-year stretch after coming close to breaking through following the Aces’ four trips to the finals. “It has been a heartbreaker,” he said about of the experience of ending up runner-up four times, including in the Philippine Cup finals where the Aces lost a commanding 0-3 lead in the title series against San Miguel. Banchero sees a tough task ahead for the Aces in the playoffs where they finished sixth and face the prospect of going up against either crowd favorite Ginebra or defending champion San Miguel. “We know it’s hard beating Ginebra or San Miguel so it sgonna be tough. We just have to be fully prepared,” he added.